Non-profit, marine science education facility located near coral reefs in the Florida Keys. 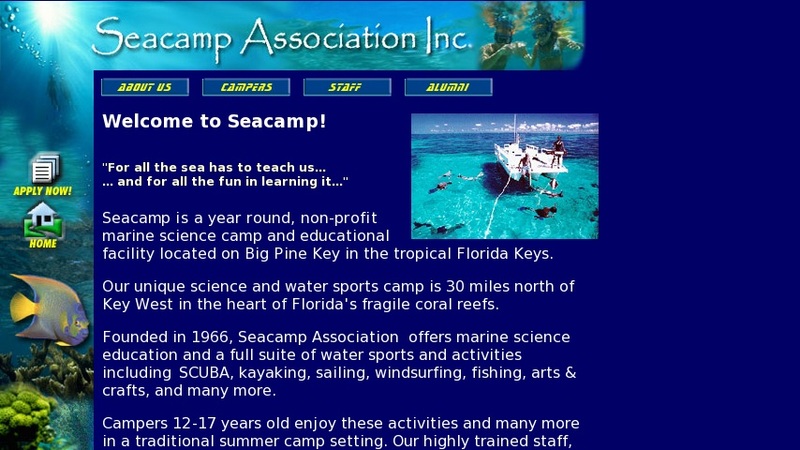 Seacamp offers marine education and summer camp experiences for students 12-17 years old. Marine science course covers general marine topics, geology, marine communities, invertebrates, aquarium set up; advanced studies include science research training and individual projects. Also offered: SCUBA, sailing, board sailing and other courses. Call or write for application packet and tuition information.